A new coat of paint has a valuable purpose besides just looking great. It actually helps protect your stove from rust and other corrosion that could shorten its useful life. 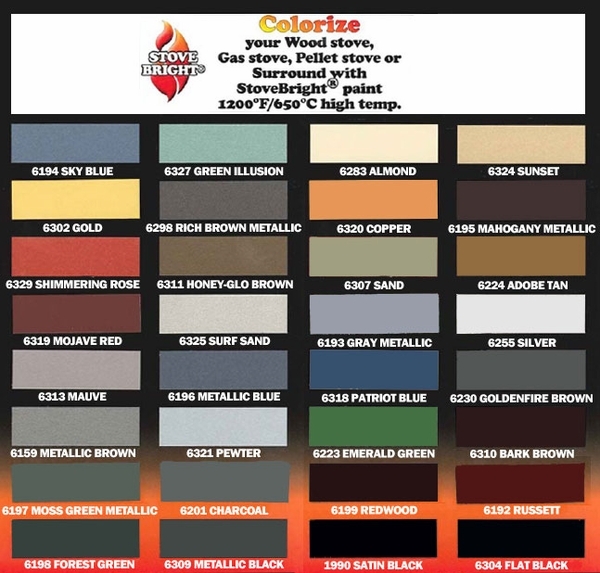 Stove Bright paint is proved to withstand high temperature, and it will hold its color even at 1200° F. This makes it perfect for touching up chips, scratches, or heat-bleached areas, or for giving your appliance an entire new fresh coat. Satin Black has a low sheen, but many other colors are also available. The paint comes in a 12-oz spray can. Can this product be used to paint the refractory in a wood burning fireplace? While this product could technically be used for the application you are describing, the paint would flake and generally not adhere well if the intention is to continue to burn wood. Can I use this to paint the whole stove? Even though this product is listed as touch up paint, it certainly can be used to paint the entire stove. The primary reason this item is sold as touch up paint is due to the fact that most appliances are sold in flat black and often need to be touched up due to shipping scuffs and scratches. Is this paint a waterbased paint? Per the manufacturer, the paint is a solvent based product, as are all of the colors offered in the Stove Bright line. Does any kind or primer need to be used or what should be used to clean up fireplace before painting with this product? Primer is not necessary, however a water based cleaner is recommended to remove any dirt/soot deposits that may have accumulated on the surround. Beyond that, it is recommended to apply this product in numerous, light coating. This will guarantee longevity of the paint and reduce the risk of separation. Paint would not spray evenly,one did ok,2nd can sprayed a stream of paint,last can would not spray Hartley at all,not worth the price ,,cans acted like it was frozen?? Although I have an excess amount of this paint left over, it proved to be just the thing that I needed! 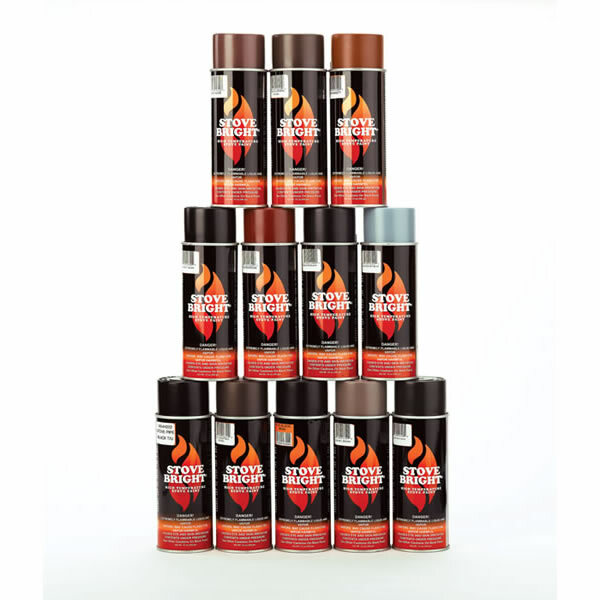 This paint does well in extreme temperatures, on woodstove and stove pipe, and motorcycle headers and mufflers.